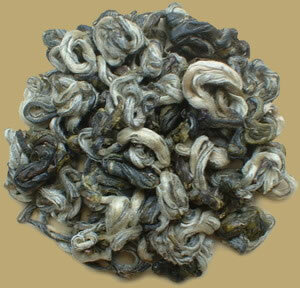 This Bi Luo Chun is processed from Yunnan big leaf varieties of the tea plant. The early spring picked leaves are interspersed with white downy. When steeped, the spirals of tea leaves will produce a very fragrant brew with a yellowish liquor and fresh, sweet taste. PREPARATION: To prepare Bi Luo Chun we recommend either a regular teapot or individual steeping cups. Allow 1 to 2 tsp. of tea leaves per serving. Cover with water no hotter than 70°C, (158°F) and allow to steep for 2 to 3 minutes depending on desired strength. Bi Luo Chun generally may be resteeped 2-3 times.